It surprised me because I know 'Right now' as it was recorded by Creatures in 1983. 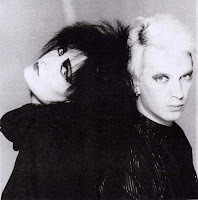 Creatures, comprised of singer Siouxsie Sioux and percussionist Budgie, are a still-functioning side project of the legendary but defunct post-punk icons Siouxsie & The Banshees. One of Creatures' early singles, which did quite well in the UK (charting at #14) but wasn't even released in the United States, was their version of 'Right now'. Their version, I say, because they were covering the original that had been recorded by Mel Torme in 1962. 'Right now' had been released as an instrumental by jazz musician Herbie Mann earlier that same year, before Carl Sigman set lyrics to it for Torme to record on his album Comin' Home Baby! This transition is quite a leap, both in terms of changes to the structure of the song, and the shift from bossa nova to a hipster jazz lounge arrangement. Comin' Home Baby! 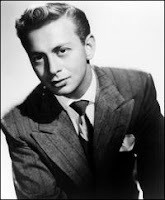 is considered to be one of Torme's weakest albums, and 'Right now' was not a hit. I am struck by how these three vocal versions of 'Right now' are incredibly similar, even though they are each separated by more than twenty years. Three key elements - the call-and-response between the lead and female back-up vocals, the contrapuntal brass line, and the brief duration (all three versions are under 2:30) - solidly tie the recordings together. Creatures' recording strips out much of Torme's lounge arrangement and punches up the bombastic percussion and brass, because the Creatures project explicitly features percussion and minimizes (in this case, elminates) bass, guitar and keyboards. Interestingly, this unorthodox arrangement preserves the vintage feel of this song. And Pussycat Dolls have clearly heard both of these recordings. They filter some of the jazz lounge elements back into the arrangement. A flute is a particularly noteworthy replacement for the organ in Torme's original, because Herbie Mann's instrumental 'Right now' featured his flute. [This record has long been out of print, but you can hear a clip of it at the Rhino Records site - here.] But they use almost verbatim Creatures' excellent a capella intro and percussion driven verses. All the while the cheerful back up vocalists and the big band brass section make for incredible continuity. A cover of previously recorded material, whether the earlier version is well known or not, offers a distinct opportunity to consider an artist's influence, process and sophistication. In the example of 'Right now', Creatures and Pussycat Dolls acquit themselves quite well, and score points both for originality of selection and mindfulness of precedent. While I am by no means a Pussycat Dolls fan, they earn my grudging respect with 'Right now'.